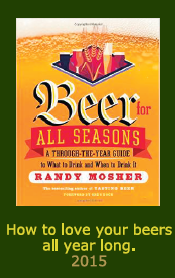 My first published book began as a handful of recipe tracking sheets and grew into a formidable pile of graphs, tabular information and other material I used to help organize my own brewing. 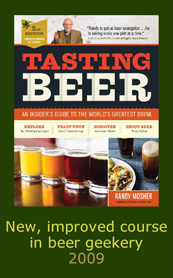 Due to the lack of technically detailed homebrewing books at the time, I mined bits of information from old professional brewing books and compiled charts of exotic mashing regimes, malt types, water chemistry and spoilage organisms. 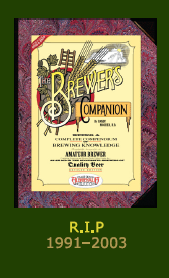 At a certain point, it started to feel like the material could turn into a book, and I was fortunate to meet, at just that right moment, a man named Charles Finkel, then owner (along with his wife Rose Ann) of Merchant Du Vin, the US' most influential beer importer. After stints in the wine business, Charles was tirelessly crusading for quality beer, and as part of those efforts, acquired a homebrewing shop in Seattle, Liberty Malt & Supply. Through fortuitous happenstance, my book came to his attention and he volunteered to publish it, promptly changing my life forever. Around that time personal computers were on their way to becoming serious graphic design machines, so I bought a Mac in 1987 and began to build a book, despite the fact that the software was barely functional and bug-riddled. I pounded away (often my head against a wall) for five years and eventually produced a serviceable edition in 1991. It wasn't perfect; a secret weekend switchover from one publishing program to another on its way to the printer left a trail of typos and dropped paragraphs, but after nearly four years of work, the book was finally published. I took my very first copy, chopped the spine out of it and punched it for a three-ring binder—the way I had been using its parts and pieces. 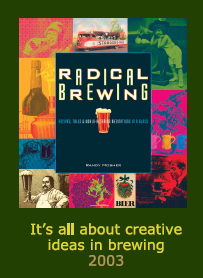 Its graphic shorthand and systematic structure don't suit everyone, but I'm proud that the book helped a lot of people get more serious about brewing, even helping some move into professional brewing careers. Charles is a masterful salesman, and the book did well enough to encourage me to keep writing. It was officially declared out of print about 2008 some time after the Finkels sold Merchant Du Vin. 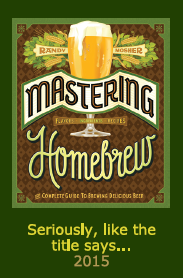 Some of the approach and even several of the charts I created have found their way intomy just-published Mastering Homebrew, along with mountains of new material.